It may still be November but there’s a real chill in the air, and there’s no doubt that winter is coming! In Northern Ireland this means one thing – it’s stew season. 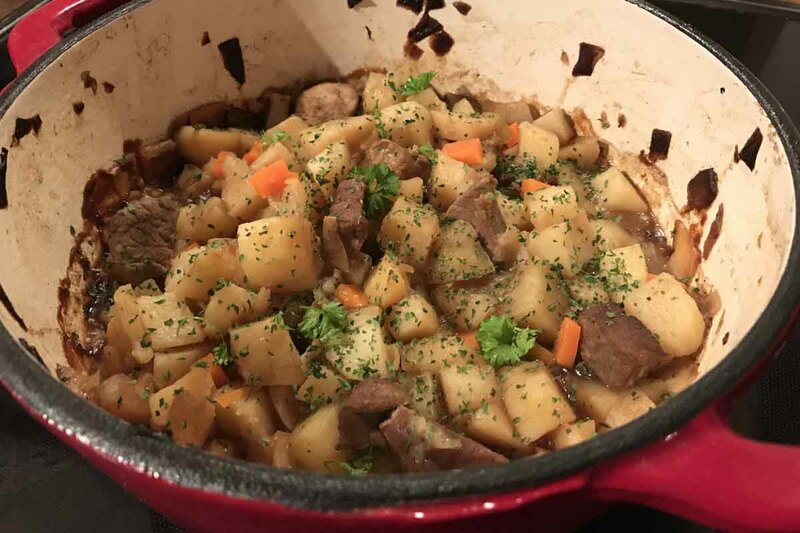 Whether your choice of meat is beef or lamb, there’s no doubting the joys of seeing a pot on the hob with a hearty stew slowly cooking away. 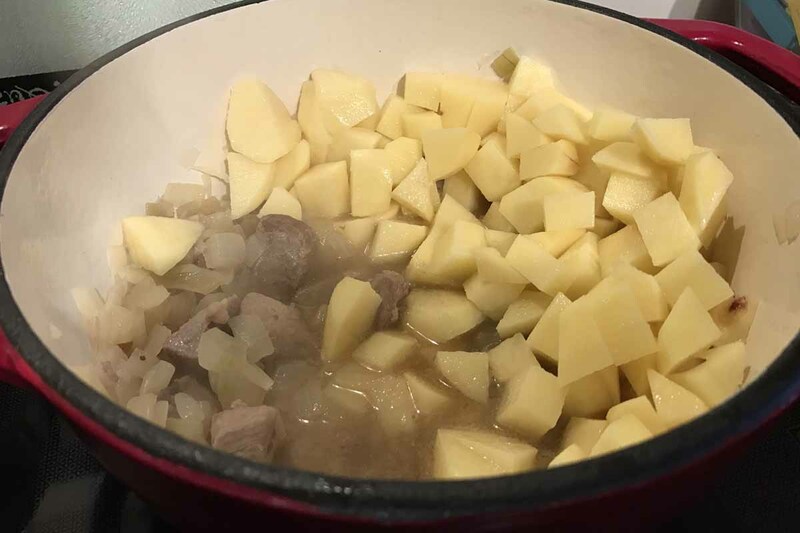 We’ve been getting a lot of our meat in LIDL of late as we’ve been really impressed with the quality of meat on offer, so we grabbed a pound of lamb pieces and set to work on a lamb stew. 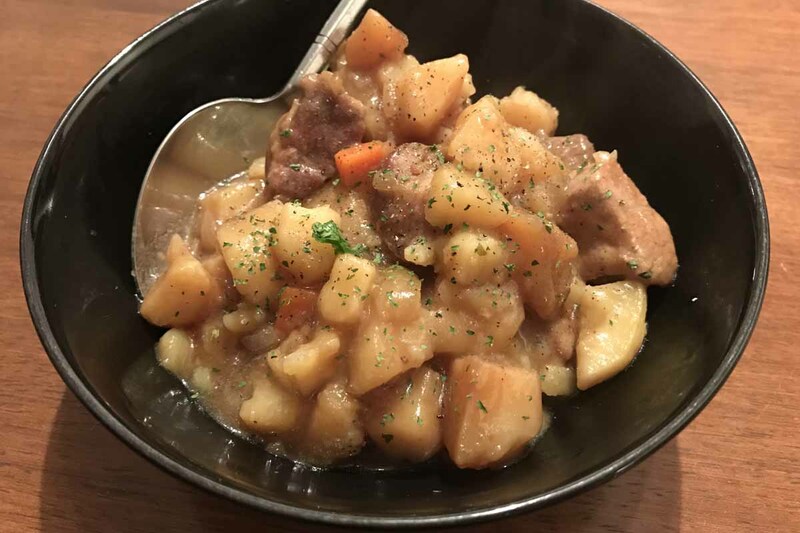 The ingredients, and recipe steps are below if you want to try out this tasty stew for yourself. Prepare your ingredients by peeling the potatoes and carrots, and dicing the onion, before adding your onions. We used a heavy based casserole pot but a slow cooker would work just as well. Gently fry your onions in oil until they begin to soften and then add your lamb pieces and turn up the heat. Turn the lamb pieces until they brown evenly and then move on to your stock. Before beginning your stock, pre-heat your oven to 150C. Once your lamb has browned, begin to work on the stock. We used a vegetable stock cube but you could just as easy use a meat based stock cube for added flavour. Mix the stock cube in one pint of water and add to the casserole dish. Season with salt and pepper before adding your potatoes and carrots. With your lamb and onion cooking in the stock, now add your chopped potatoes and carrots, bringing to the boil. Once they have boiled, simmer for 5 – 10 minutes before placing your dish in the pre-heated oven. Cook for 90 minutes before removing and serving. Remove the casserole dish from the oven and check everything is fully cooked through. 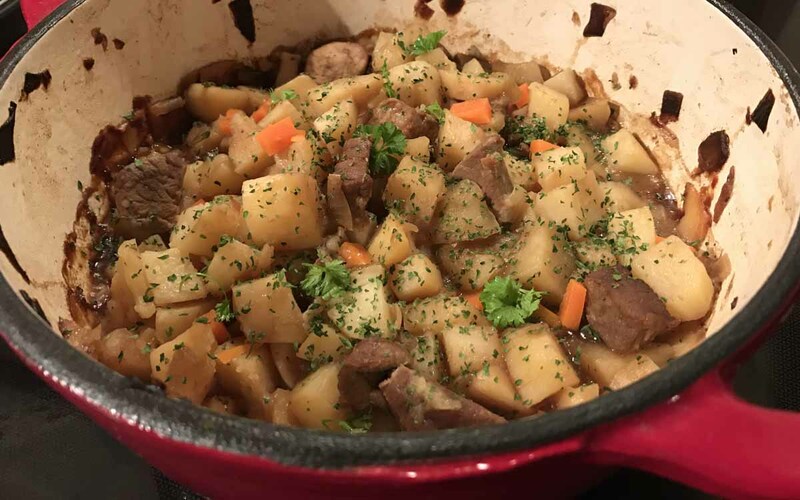 Your meat should have braised and be falling apart, while the carrots and potatoes will be lovely and soft. The stock will add a nice flavour to the dish. Garnish with some chopped parsley before serving. Scoop into bowls and enjoy with some crusty bread on the side. Nothing says winter has arrived than a lovely, warm and hearty bowl of stew after a long day at work. 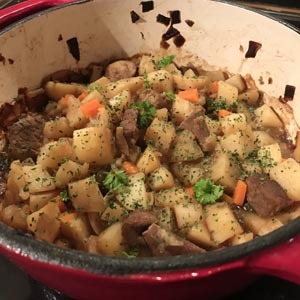 While there are many ways to make stew that is full of flavour, this is a fairly simple recipe, using ingredients that most of us will have lying in the house. Are you a fan of stew? Are you a beef stew or lamb stew person, or do you prefer a vegetarian option? Let us know in the comments section below or by connecting with us on Facebook and Twitter.